Senet Group, the new body promoting responsible gambling, is seeking a creative agency ahead of a major TV campaign next year. As well as the campaign, which launches in January, members of the group will ensure their own TV ads carry more prominent responsible gambling messages. Senet Group has shortlisted Karmarama, Grey London and The Corner in a process handled by Oystercatchers. It is expected to make a decision by the end of the year. The body, which is named after the ancient Egyptian board game Senet, was set up last month by four of the biggest gambling companies: Ladbrokes, Coral, William Hill and Paddy Power. It is part of what the Financial Times called a "charm off­ensive" from the gambling industry as pressure mounts to tighten regulation. The four companies have also agreed to a voluntary ban on advertising sign-up offers, such as free bets, on TV before 9pm; the withdrawal of all advertising of gaming machines in betting shop windows; and to dedicate 20 per cent of all shop window advertising space to responsible gambling messages. 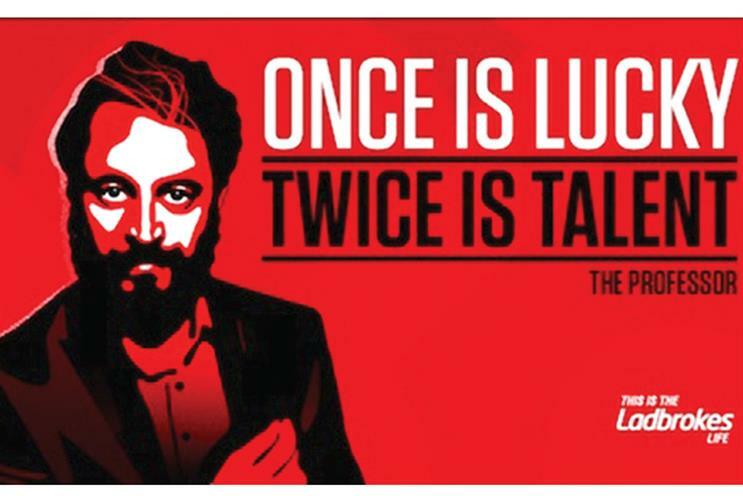 In September, the Advertising Standards Authority banned two posters from the "Ladbrokes life" campaign, which read "When you win it’s skill – when you lose it’s bad luck" and "Once is luck – twice is talent". The ASA ruled that, when viewed in isolation from Ladbrokes’ wider TV and digital campaign, the posters could be seen to "condone an irresponsible attitude to gambling".